PINEVILLE, La. 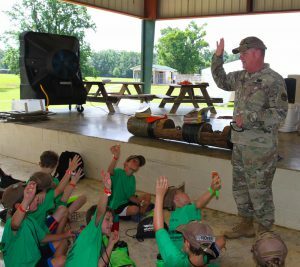 – Maj. Gen. Glenn H. Curtis, adjutant general of the Louisiana National Guard, visited Kids’ Annual Training at the Cecil J. Picard Educational & Recreational Center in Bunkie, June 14. 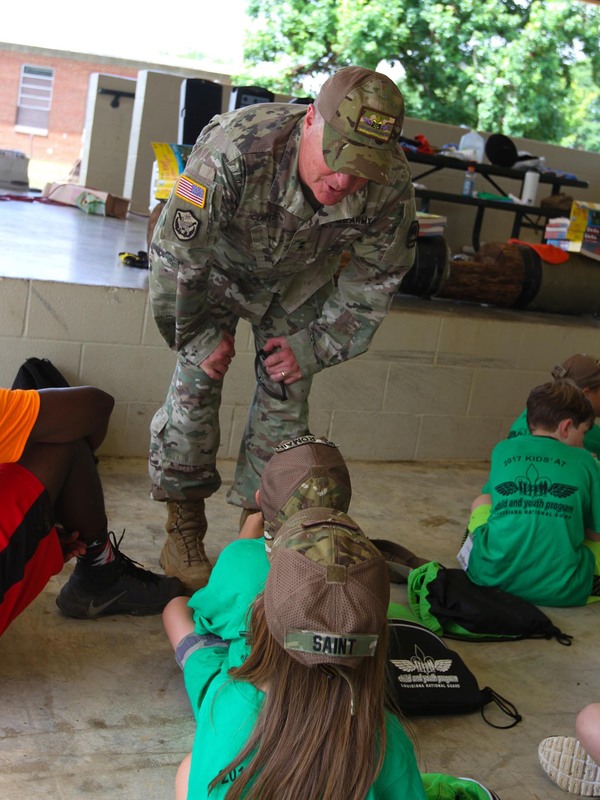 Children and siblings of Louisiana Soldiers and Airmen spent five days attending the fun, military-style summer camp at the recreational center, June 12-16. Curtis was shown each station that campers went through while at AT. 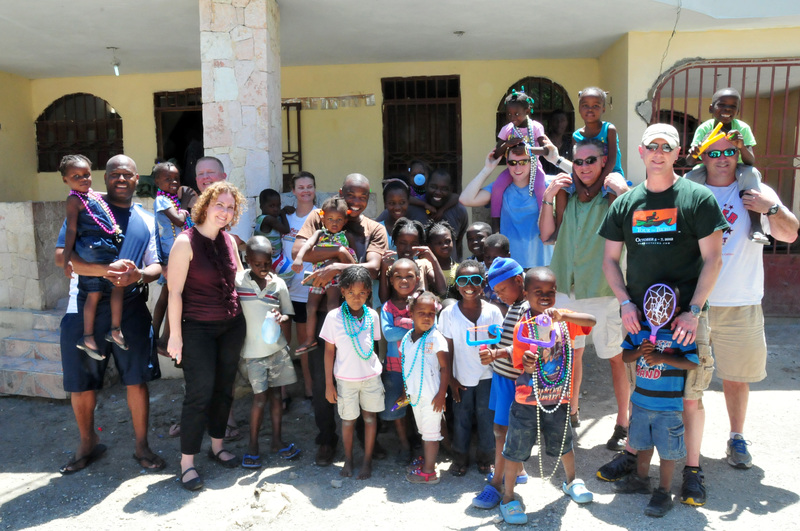 He visited with campers and volunteer organizations throughout the visit. “It was exciting not only for the kids who got to meet a real general and a see real helicopter, but for the Soldiers and Airmen it was a great opportunity for the adjutant general to see the true pride of the Guard; our kids,” said Maj. Ebony Carter, state family program director for LANG. 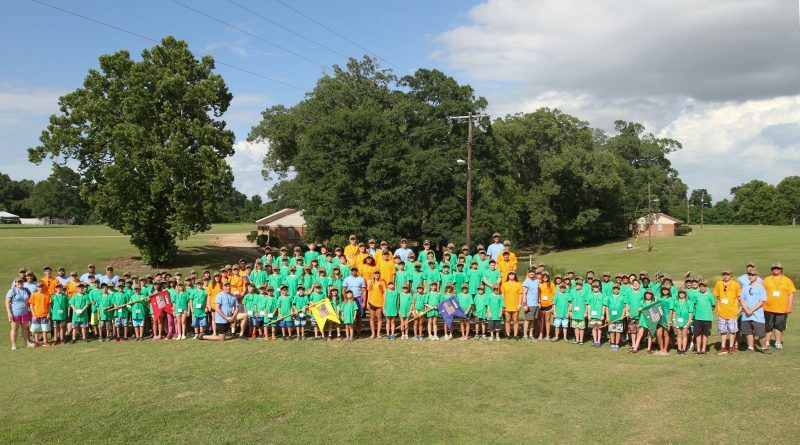 Kid’s AT began in 1997 and is for children, grandchildren, or family members of LANG Soldiers and Airmen. 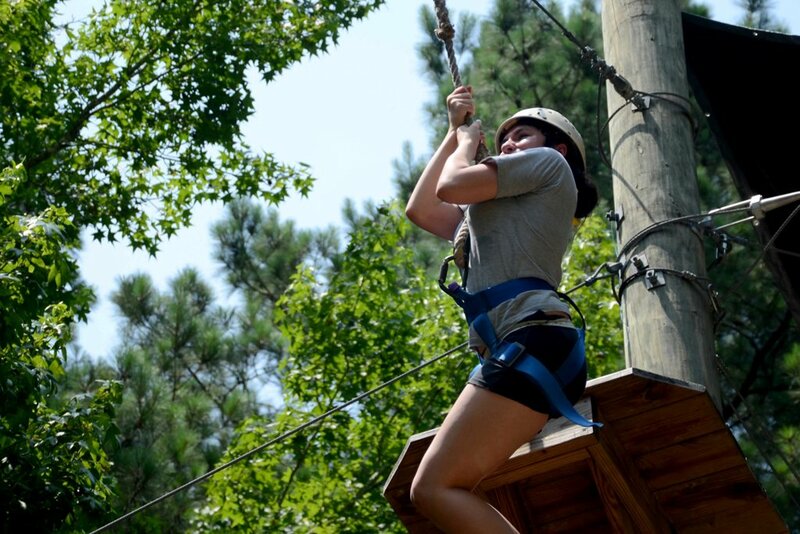 The annual training allows the youth to build relationships with other children who understand experiences that are unique to children of service members. 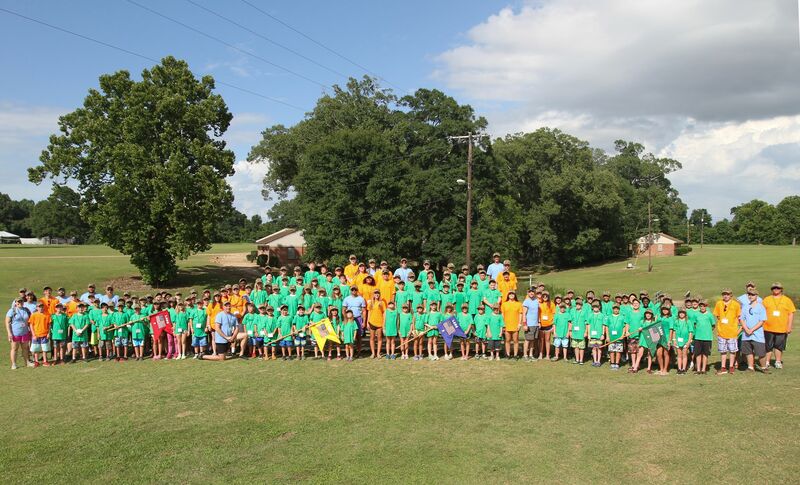 More than 115 youth from across Louisiana reported to the recreation center June 12 to begin their camp. The youth, ranging in age from 8-13, were divided into platoons and had a sergeant, just like a military unit would. 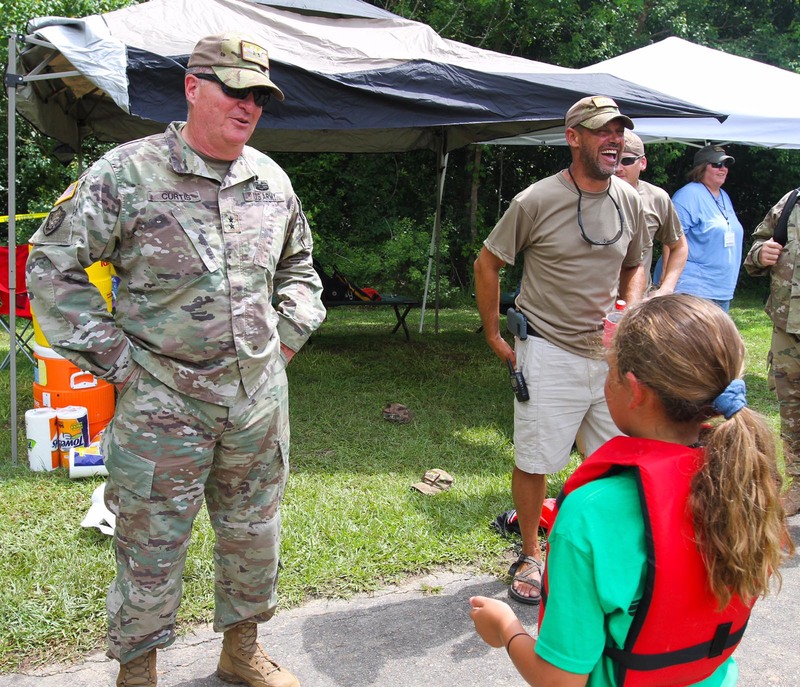 The week was spent full of events that taught the youth about the military and what it’s like to be a Louisiana National Guardsmen. Each day began with Reveille, a prayer and the pledge before the kids enjoyed events such as Zumba and swimming. The kids also participated in races, rollover simulator, cyber classes, archery, canoeing and fishing over the course of the week.